Finding the right SUV for you and your family can come down to a number of considerations. Perhaps you’re looking for an SUV that oozes style and comfort? Maybe safety is your single biggest priority? And who doesn’t want something to outlast a lemon! In this blog, we take a look at the things to consider when selecting the right SUV for you and your family. This might seem obvious, but one of the first things to consider is how much room you need. Interior space is your priority here, given the demand an average family presents in terms of transport needs. Remember, it’s not just your humans here! You also need to consider a vast assortment of associated bags, sports equipment, pets or prams, too. But sufficient space doesn't have to mean that bigger is better; it's all about how that space is used. Brighton Nissan offer a range of SUV’s that cater for a variety of needs; from larger vehicles to the more compact, the team of experts at Bright Nissan will be able to match right SUV with your family size and needs. Airbags – Four should be a minimum. A trusted vehicle like the Nissan Pathfinder, for example, includes seven airbags and is a great example of an SUV that takes safety seriously. Cameras – You can’t see everything all of the time, so why not make sure you consider an SUV that has you covered? It’s worth ensuring the vehicle is fitted with a reversing camera. Lane departure and collisions warning systems can also be effective for ensuring alertness while driving, too. In addition to these features, an SUV from Brighton Nissan also includes Integrated Turn Signal Mirrors, Night Vision, Brake Assist, Rollover Protection System, Traction Control, and Blind Spot Monitor. There is so much to consider when it comes to safety, and these are just the basics. For more information, head into your local Nissan dealer and get the experts’ advice, first-hand. You don’t have to blow the budget to get an SUV that’s safe and reliable. At Brighton Nissan, you have a range of budget-friendly vehicles that exude style and comfort, too. 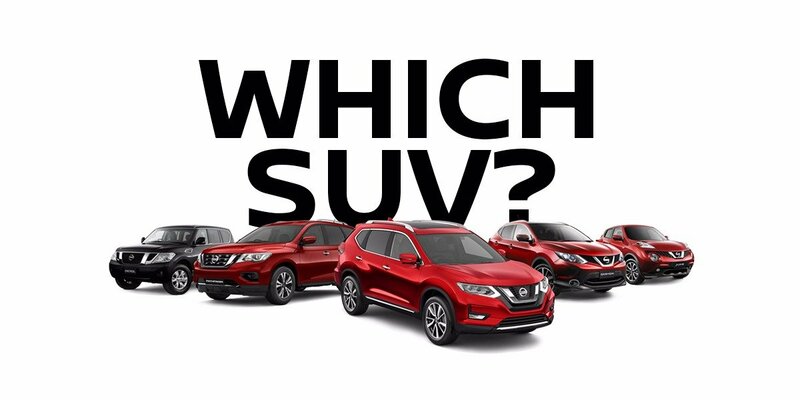 Whether you’re after a budget-friendly vehicle like the Nissan Qashqai, or something a little more stylish, like the 7-seater SUV Nissan Pathfinder, Brighton Nissan is a great place to get the right SUV for your family, at the right price. We hope you’ll stop by our bayside dealership in Brighton to talk to the friendly team here about how we can help you find the right SUV for your family. Get in touch with our finance team on (03) 9563 9977 and let us work with you, or drop in and say G’Day!